Variable frequency drives are extensively used devices meant for controlling electrical energy utilization at optimum cost. These are also called variable speed drives, adjustable speed or frequency drives, AC drives, and inverters. Previously, valves and slats were used to control the flow of fluids in electric motor drives which were energy intensive. Variable frequency drives help to establish an efficient mode of controlling the electrical load. Variable frequency drives (VFD) are the most effective and efficient motor controllers in the industry today. Modern VFDs are affordable, provide smooth motor acceleration, are reliable, reduce power supply problems in the facility, and have flexibility of control. Further, the use of VFD brings the total system cost down because of the elimination of various system components which are required for valve control. Variable frequency drives are also used when three phase motors are needed to be operated from single phase power so that there is minimum wastage of power. CSI VFDs have been successfully adopted in industrial power applications and processing industries. One of the major advantages of CSI, is their ability to produce regenerative power. VSI VFDs are not commonly used because of their low power and clogging problems.PWM VFDs are used extensively in industrial applications because of their low cost, excellent power factor and efficiency. Major industry applications of VFDs are HVAC fans and pumps, food processing (agitators, mixers, conveyors for food transport), petrochemicals (oil fields recovery, deep well pumps), mining and metals (cooling beds, reheat furnaces), pulp and paper industry (washers, chippers, vacuums removal systems), transportation (cranes and hoists, small vehicle drives, material handling conveyors), and various other machine tools. In addition, VFDs are also used in air conditioners, outside-air economisers, escalators, modern lifts and energy-efficient refrigerators. 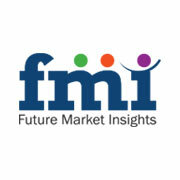 The global variable frequency drives market has shown a decent growth in past few years. The major market macro-economic drivers identified are increasing consumption of electricity, rising electricity prices, rise in the infrastructural development, increasing government support for energy savings, and stringent environment regulations in the growing economies across the globe. Also, new investments in automotive and power industry, metals, cement, oil & gas, petrochemicals, and food & beverages are the major forces driving the demand for VFD. However, technical limitations such as heating of components, power loss, harmonics, high implementation costs and low awareness about new developments in variable frequency drives in the manufacturing sector may inhibit the growth of this market to some extent. Also, in developing countries energy saving measures often become low priority functions compared to production output. Low clarity about return on investment and operational benefits among industry participants poses a setback for the variable frequency drives market. The demand for variable frequency drives is expected to grow in the developing countries because of the huge demand for infrastructure and energy. The Asia Pacific region is estimated to witness huge growth opportunities due to a surge in manufacturing activities, especially in India, China and Japan. Due to lucrative efficiency, tax incentives and utility tax rebates, the market share of variable frequency drives is expected to grow in most of the developed regions such as North America and Europe. Due to a lower level of industrial growth in the Middle East and Africa, the market in this region will acquire a share in the overall growth of VFD market. Some of the major global players in variable frequency drives market are Fuji Electric Co., Ltd., Mitsubishi Electric Corporation, Siemens AG, ABB Ltd., American Electric Technologies Inc. (AETI), Crompton Greaves, KB Electronics, Inc., Eaton, GE Energy Power Conversion , Yaskawa Electric Corp, Amtech Electronics India Ltd., Hitachi Ltd., Honeywell International Inc., Johnson Controls Inc., Rockwell Automation Inc., Schneider Electric, Toshiba International Corporation, and Emerson Industrial Automation. Novus Collagen Serum Review – Top 10 Best Skin Care Products Of 2015! Must Read!